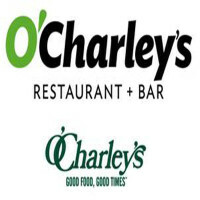 O’Charley’s is an American casual dining restaurant chain that operates in the Southern and Midwestern regions of the United States. The company’s headquarters is in Nashvile, Tennessee. In 1971, Charles Watkins opened the company’s first restaurant on 21st Avenue, Nashville. After 13 years of running the company, Watkins sold it to David K. Wachtel. By 1987, they already had 12 locations. From 2000 to 2002, the restaurant chain was included in the Forbes magazine’s “200 Best Small Companies in America”. In the present, the company has more than 230 locations. Aside from high compensation rates, the restaurant chain’s employees receive many benefits such as a health insurance with dental and vision healthcare coverage. They also get a 401K plan, flexible spending accounts, and life insurance. The employees love working for the company due to various reasons. One of these is that they get employee discounts and the managers are very understanding. They also liked the positive atmosphere in the restaurants. How old do you have to be to work at O’Charley’s? Job seekers who are planning to apply for a job at one of the company’s locations should have the necessary skills and pass the minimum age requirement of at least 18 years old. Applicants should be high school graduates, or at least have a GED. The company has fulfilling careers in store for aspiring applicants who can fill the organization’s employment needs. Line Cook: A line cook is responsible for preparing the recipes offered in the restaurant’s menu. They need to understand and follow the recipes to create a taste that is consistent to the company’s standards. Line cooks need to have patience to work in the kitchen, which can be a stressful place. Prep Cook: A prep cook is responsible for readying everything that is needed for different recipes. Their duties include chopping and peeling vegetables, taking frozen products from the freezers, weighing and mixing ingredients, and readying kitchen equipment. Server: A server works in the dining area to give assistance to the customers. They take and serve orders, provide utensils and glassware, answer queries, and provide suggestions. They need to be fine with walking all day and doing repetitive tasks. Servers need to have a good attitude and they also need to groom themselves properly since they interact with customers. Host/Hostess: A host’s job is to accommodate customers upon entering the restaurant. They greet new customers, guide them towards their table, and provides them with everything they need. Their job requires them to have good charisma and customer service skills because they interact with customers. Bartender: A bartender is stationed at the restaurant’s bar to entertain customers and serve them their choice of drinks. They mix drinks, which is why they need to have ample knowledge about alcoholic drinks. They also need to have good customer service skills and a pleasant attitude because bartenders usually have casual conversations with customers. Bartenders need to deny minors from buying alcohol. Dishwasher: A dishwasher is responsible for cleaning kitchenware. They clean plates, utensils, glasses, and other kitchen equipment. They need to clean them perfectly for customer satisfaction and to follow sanitation standards. Dishwashers need to handle fragile items with care since it can be dangerous to drop them and to prevent incurring losses to the company. Kitchen Manager: A kitchen manager watches over the kitchen’s operations. They direct employees to do various jobs to create better meals. Furthermore, they also act as quality control by checking product quality and serving sizes. A kitchen manager needs to have a knack for leadership and should have communication skills to make the kitchen staff work as a team. Restaurant Manager: A restaurant manager ensures that the restaurant operates smoothly. They act as quality control by checking serving sizes and food quality. They also provide customer service to customers. Restaurant managers do the paperwork and manages the payroll. It is also their job to ensure that the staff is performing efficiently by constantly communicating with them. Shift Leader: The shift leader runs the restaurant’s operations when the manager is not around. They lead other employees by distributing tasks evenly and working hard to be an example. They also give job training and ensure that the restaurant follows the company’s policies. Shift leaders also provide customer service to customers by listening to complaints and providing information about the restaurant. Delivery Driver: The delivery driver is responsible for delivering products to the customers’ locations. They need to have good driving skills and ample knowledge about directions to ensure fast delivery time. Drivers are also responsible for taking care of the delivery vehicle. Applicants who are planning to apply for a job at O’Charley’s will have to submit a fully accomplished application to one of the restaurant chain’s locations. For those who do not prefer in-store applications, they can submit their applications online. They just have to go to the careers section of the company’s official website, find their ideal job from the many openings available, and submit an application. Before filling up the application form, the applicants are encouraged to review their personal information first. They should also double check their contact information so the company can easily contact them about their application. In writing a resume, they should use a format and font style that can enhance its readability. Furthermore, they should write only notable information to keep it short and substantial. In preparation for the interview process, the applicants should prepare a corporate attire. They should also arrive according to the schedule and exhibit confidence when answering questions. The restaurant chain’s culture is centered around customer service. They make sure that they serve only the best food and customer service in their restaurants. In 2017, the company announced that it will use a new multimedia and multiplatform advertising campaign. The campaign includes a new set of commercials and new & affordable menu products. O’Charley’s is known for including a wide variety of dishes in its menu. One of their most famous products is their Award-Winning Pie which is offered during holidays and they give it for free during Free Pie Wednesdays. In 2017, as O’Charley’s effort to give back, the company conducted a fundraiser for the benefit of The Folded Flag Foundation. They were able to raise $130,000 which will be used to provide support to the families of fallen soldiers. 1 How old do you have to be to work at O’Charley’s?